The CD DD Spool fits the next generation of Hardy Ultralite CA DD series. 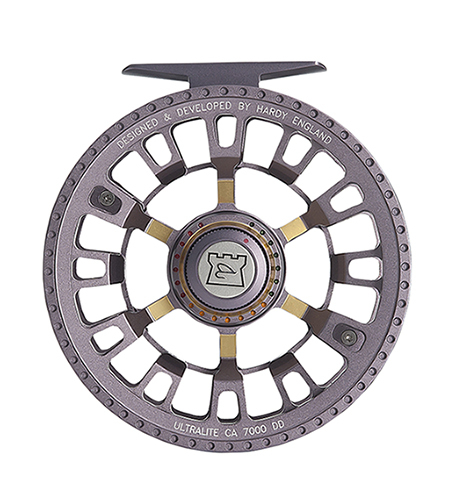 The Hardy Ultralite CA DD fly spool like the reel is finished in either a two-tone Titanium or Black finish and comes with a soft neoprene case. Spare spools are also available in Titanium and Black to match your Hardy Ultralite CA DD Reel. A new generation of Hardy DD Reels. A quality pressure die cast reel that offers incredible price and performance value.